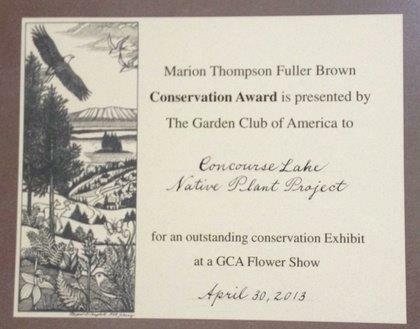 Concourse Lake Exhibit of the Philadelphia Committee of the Garden Club of America wins The Marion Thompson Fuller Brown Conservation Award from the Garden Club of America at their Centennial Annual Meeting. 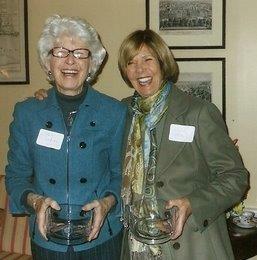 For their dedicated work on the Magnolia Tribute Garden for 21 years, Jean Bodine and Keith Straw received the PCGCA Distinguidhed Service Award at a tea in their honor at Independence Hall, West Wing VIP Room on January 9, 2014. 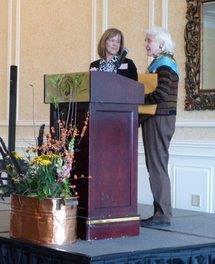 Pinkie Roe, a member of The Garden Club of Wilmington, was presented the coveted Dorothy Falcon Platt Award by Laurie Marshall, President of the Garden Club of Philadelphia, for Pinkie's years of service and contributions to GCA, Zone V, her club and to the community through avenues of Floral Design, Horticulture and Photography. 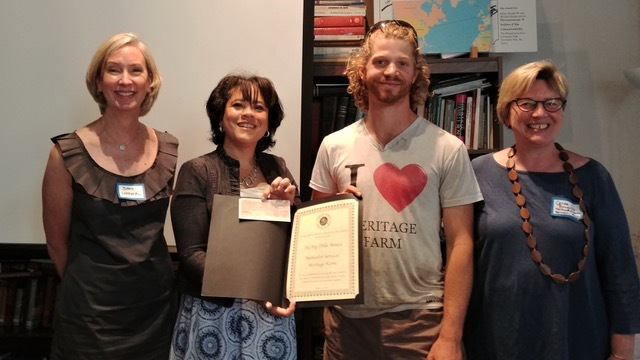 The Peg Dilks Award was presented on June 17, 2015 to A Little Taste of Everything: Mill Creek Farm. 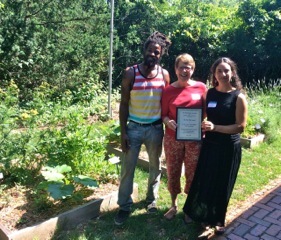 A check in the amount of $1,000 and an Award Certificate citing their dedication to the community in promoting urban agriculture through farm-based education programs and distributing sustainably grown and affordable produce to build a healthy community was presented to Aviva Asher, Director of Farm and Education Programs, and Micaiah Hall, Farmer and Educator by PCGCA Chair, Ginnie Tietjens. Peg Dilks was one of the founding members of The Philadelphia Committee. 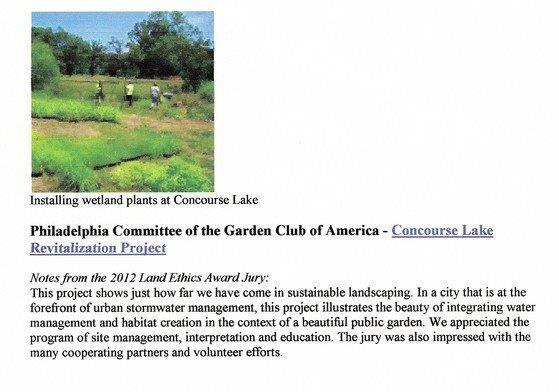 To honor her memory, the Peg Dilks Award was established in 1999 and has been awarded annually to a particularly worthy project whose execution clearly exemplifies the Committee's mission of improving the quality of life for the citizens of Philadelphia through horticulture and a project Mrs. Dilks would have approved. In honor of the 50th Anniversary of PCGCA, Mrs. Dilks' descendants donated $10,000 in her memory so the award would include a financial prize. 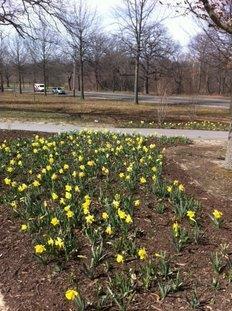 The amount of the annual award is at the discretion of the Board. 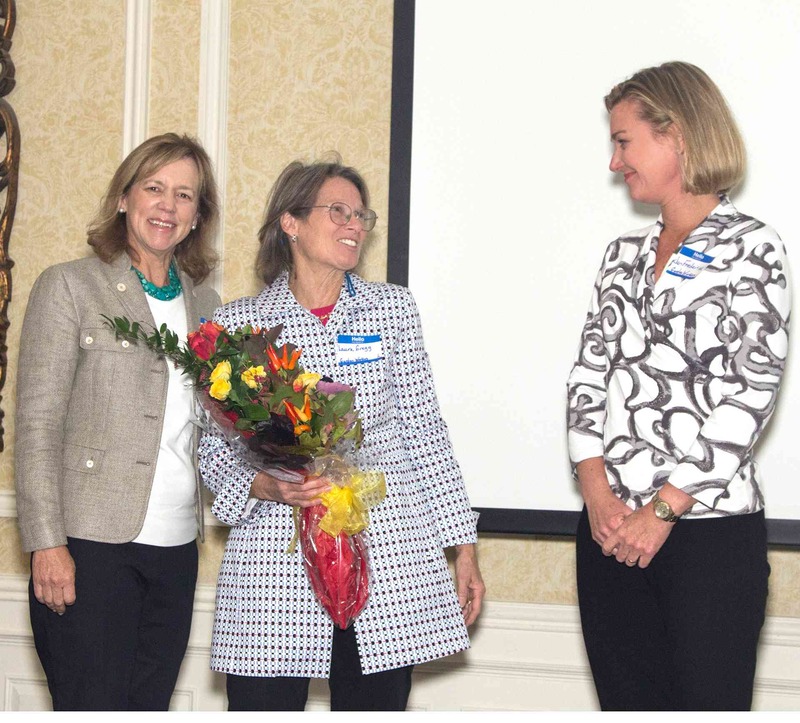 Laura P. Gregg, a member of The Garden Workers was presented to prestegious Dorothy Falcon Platt Award by Laurie Marshall, President of the Garden Club of Philadelphia. Ms. Marshall and The Garden Workers President, Janet Frederick, congratulation Laura for her achievement as the PCGCA members applaude Laura's many contributions to the community, her club, Zone V and The Garden Club of America. 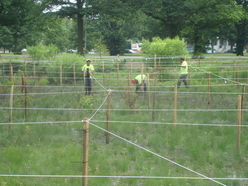 2016 Peg Dilks Award presented June 15 to the Urban Tree Connection. Left to right: Accepting the award for UTC is Jennifer Brodsky, Interim Executive Director, Ginnie Tietjens, PCGCA Chairman. amd Gene Dilks, daughter-in-law of Peg Dilks and member of The Garden Club of Philadelphia. Michael Garden representing, The Friends of the Rail Park, accepts a $5000 donation from PCGCA towards the Reading Viaduct Project which will transform the former viaduct into an elevated public green space. 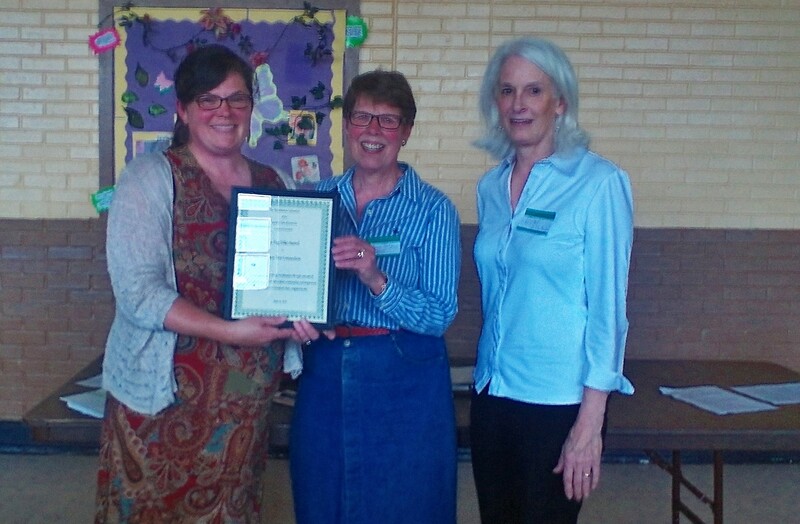 The 2017 Peg Dilks Award was presented on June 21, 2017 to The Neighborhood Garden Trust. 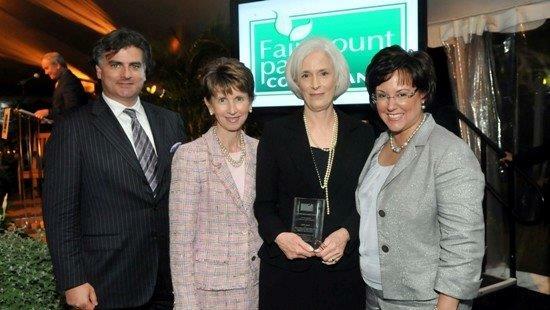 Director, Jennifer Greenberg, left, accepts a certificate and check from PCGCA Chairman, Susie Leonard on the right. PHILADELPHIA'S RAIL PARK OPENS PHASE ONE ON JUNE 14, 2018!! !